New West Fest, Fort Collins, Colorado | Flickr - Photo Sharing! ibn_25 and blitzenlion001 added this photo to their favorites. 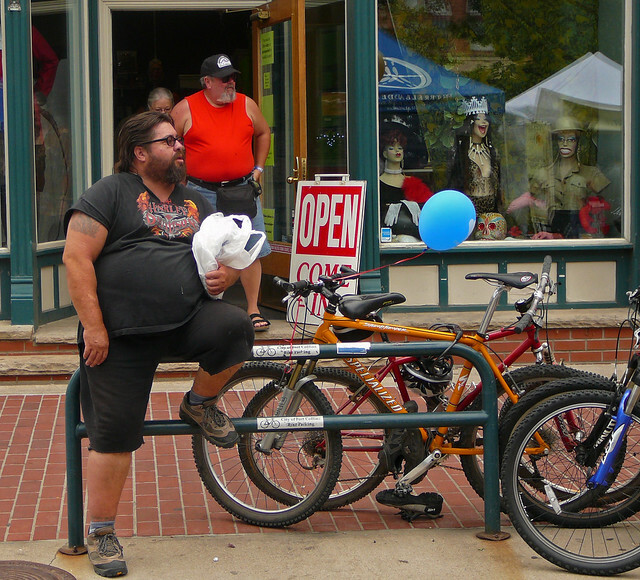 The guy sitting on the bike rack--woof! Too much depth-of-fat. Buy another lens, cheapskate. What can I say that hasn't already been said about this photo. I'd use a polarizing filter so we can see more of the true stars of this photo, the displaced heads in the window. He has stolen the soccer ball - i´m shure !!! So... this is the guy who ate Wilford Brimley? Hi, I'm an admin for a group called Fort Collins is choice for FUN!, and we'd love to have this added to the group!